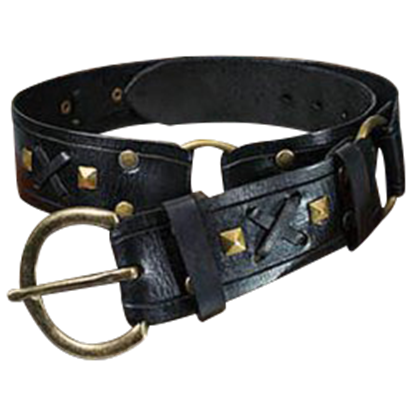 We have a large variety of leather buckle belts that are sure to be a great addition to your Medieval Garb. 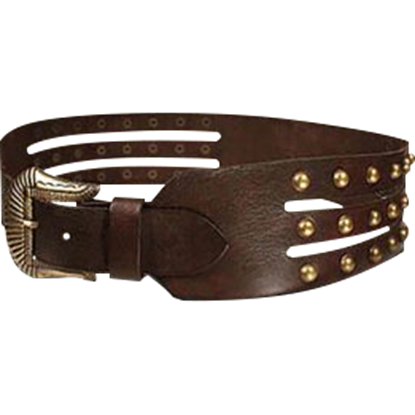 Our leather buckle belts are also great for that SCA re-enactments or LARP events. 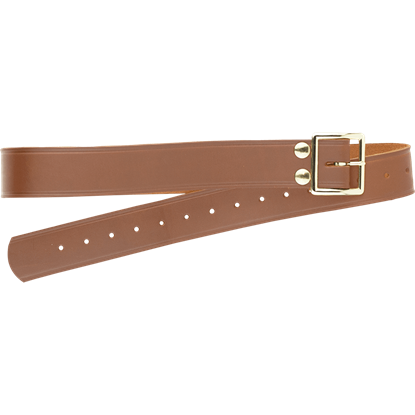 We offer leather buckle belts in all types of sizes, styles, and colors. 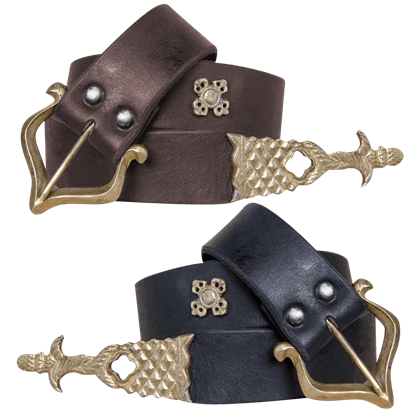 Leather buckle belts give you that medieval look for a re-enactment or medieval faire. All our buckle belts are handcrafted and made with quality 7/8 ounce leather. 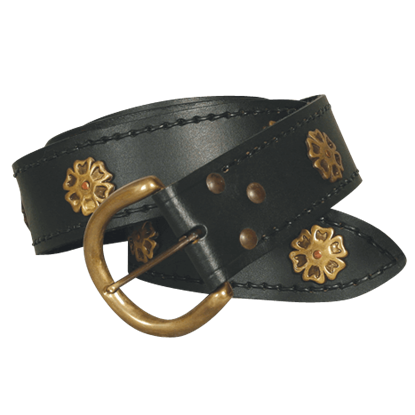 Aside from being a purely practical accessory that has dozens of uses, the Baroque Buckle Belt is also a sleek and stylish accessory that matches different styles of looks. It fits well into contemporary looks as well as historical ones. Crafted specifically for the Red River Holster (CA-JW201), the Belt for Red River Holster will help complete a cowboy look or costume. 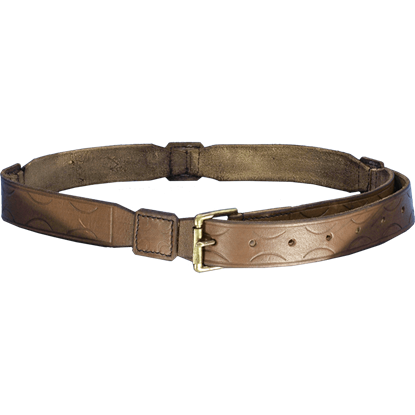 Made from genuine leather this belt is perfect for anyone, especially John Wayne collectors. 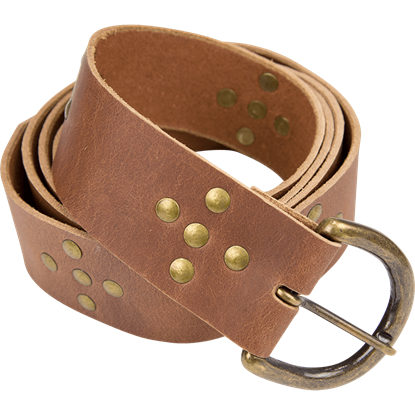 A belt is a vital part of every outfit, as it offers both functionality and the chance to add a piece of flair that shows your style. 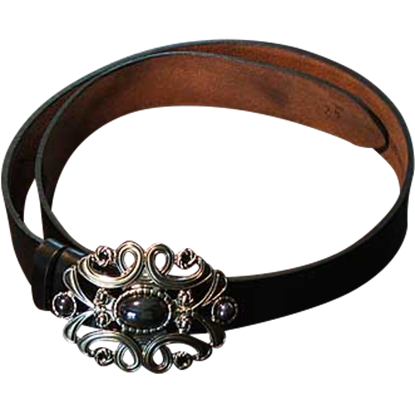 With intricate designs, the Black Celtic Belt will be a great addition to your historic ensemble. 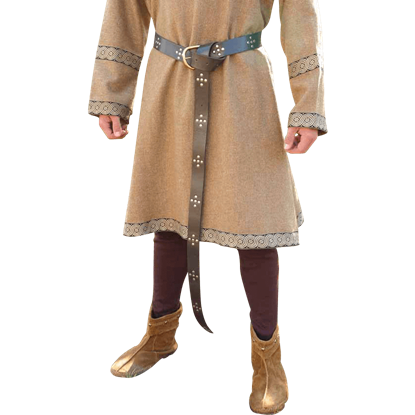 A Celtic reenactor needs accessories that will add a striking detail to their historically accurate outfit. 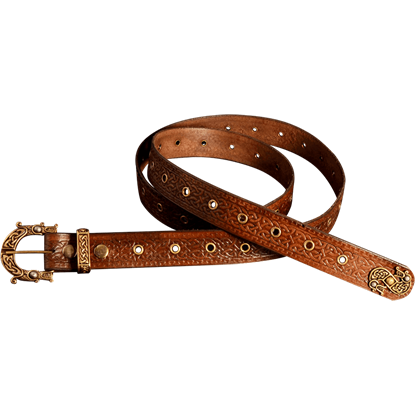 The Brown Celtic Belt features several aspects that make it a must have for those who love this culture and its style.